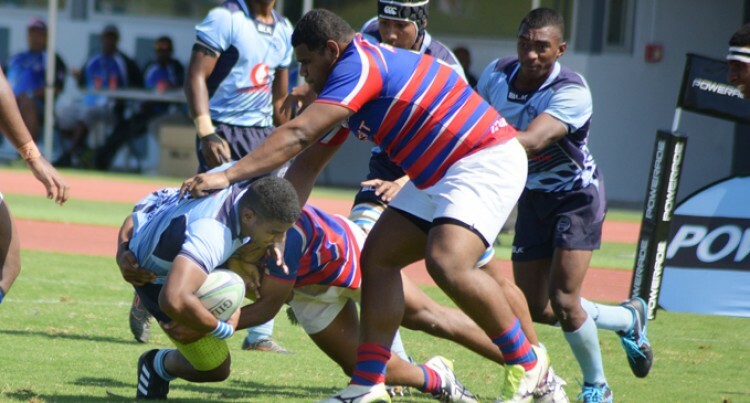 The Marist Brothers High School Under-18 side secured their semi-final spot in the Powerade Super Deans Rugby Championship through a technical­ity. After being held 5-5 by Queen Vic­toria School, at the end of the two periods of sudden death, the officials referred to the tournament rules where the match was awarded to the first team that scored a try- which turned out to be in Marist’s favour. MBHS U18 coach, Penaia Qalitur­aga said he was impressed with the players’ performance and they look forward to their semi-final match. “I thank the Lord for giving the players the strength during the game and also to the boys for putting on a good show,” Qalituraga said. What happened: Both teams were evenly matched from the start. In the 21st minute MBHS scored their first try to lock forward Angelo Smith with the conversion going wide. Both teams came out firing as they aimed to secure a win. Backed by the vocal supporters the intensity of the match lifted. In the 35th minute QVS hit back with a try to wing Luke Nabulagi with the conversion missing as they were levelled at 5-5. The score re­mained after the two periods of sud­den death. Comments: QVS U18 coach Jo Savou said: “I’m happy with what the boys have achieved, they really played their hearts out and I want to thank them for that.